When your house is in need of a new roof, you don't hire the guy who just started his roofing business on a whim because he was told he had a nice hammer. You look for experience and someone who can get the job done on time and on budget. I have worked as an actor since 1981 and voice talent since 1991. 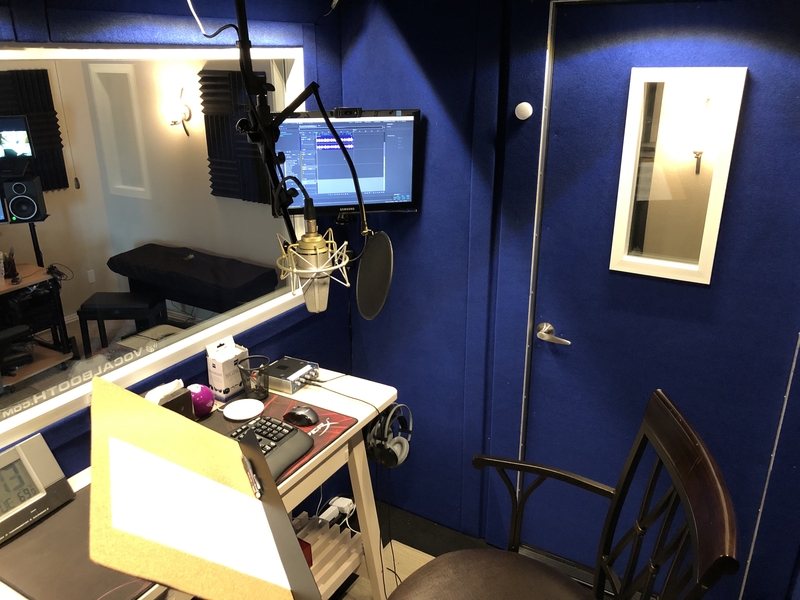 I have performed in hundreds of stage productions: comedies, dramas, musicals and I have voiced IVR, documentaries, commercials, radio plays, corporate videos, movie trailers, etc. I'm a well-seasoned performer that understands how to break down a script and produce the work my clients require. In 2004, I opened Lambert Studios and began producing voiceovers using state-of-the-art recording equipment. My clients include 20th Century Fox Television, NBC Universal, Wolf Films, Cinemark USA, among many, many others. I have invested over $100,000 in equipment and software. So I don't have a home studio. I have a pro studio - in my home. Big difference. When you hire me, you're hiring a professional with talent, skill, experience, and the tools to get the job done.